Artists wishing to exhibit are requested to supply photographs and or working drawing with the submission form by 5 July 2019. Sculpture on the Peninsula is a contemporary sculpture exhibition held every two years. 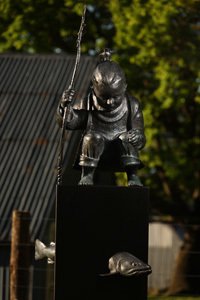 It is the largest sculptural exhibition in the South Island and attracts both leading and emerging sculptors. Sculpture on the Peninsula will be held on 8,9,10 November 2019 at Loudon Farm, Teddington, Banks Peninsula (25 minutes from central Christchurch). The event is organised by the Lombardy Charitable Trust as a fundraiser for Cholmondeley Children's Centre, Governors Bay, a residential care facility for children in crisis. $100,000 from proceeds of the event was donated to Cholmondeley in 2017. We are seeking to bring to the public an event that is representative of the best of current art practice in New Zealand. Work selected for the 2019 event will be eligible for the Sculpture on the Peninsula Award. The award will be judged by Jenny Harper, leading New Zealand arts commentator and academic and past director of Christchurch Art Gallery Te Puna o Waiwhetu. All work on exhibition will be eligible for this award. Senior Curator Christchurch Art Gallery Te Puna o Waiwhetu. Arts writer, curator and academic. Winner of the 2011 Peoples Choice Award.